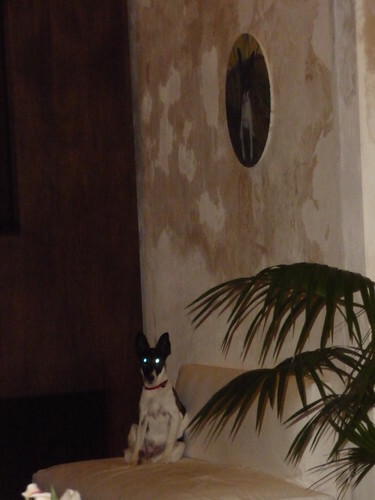 odd-old-san-juan-dog, originally uploaded by the biella. Recently much ink has been spilled on the forms of micro-writing (Twitter, Facebook status updates, micro-blogging) that have captivated the hearts, minds, and especially keyboards of those, like me, who spend a lot of time in front of the blue screen (whether a computer or a phone). Lately, perhaps in part because I was home bound for days, I went on a status-update frenzy, updating my Facebook feed like there was no tomorrow and checking in as often to read the short nuggets left by friends. Despite this recent bonanza, I don’t admit to all my friends of this addiction as some of them seem to really dislike–no the more accurate term is detest–this linguistic genre. Generally, it seems to me, there are those that love these messages, and then there are those who disparage them for being inane, short blasts of egotistical information that reflect and worse, reinforce the rampant, raw, unfiltered American love with self, performing the individual, and all that related jazz. I am sympathetic with the haters and at times, I admit I feel nothing but the hate (and perhaps this is why I have yet to Twit) but after thinking about it I have decided I am not really in their camp. Why? Well, something I do when I am thinking through phenomenon is ask: What Would Bakhtin Think (WWBT) as he is a theorist that I adore for he avoids so many of the traps, mostly of binary thinking, that befall most academic theorists. The answer to WWBT, at least from the way I read him, would be that he would dig and find something quite significant about these linguistic ephemera. Bakhtin, who was a Russian literary critic and thinker , thought highly of the novel as a genre for, unlike poetry, it provides a window into everyday life, into the depths and heights of the prosaic, which, however prosaic, is actually where all the extraordinary stuff of life resides. For in the humdrum of life is where he locates wonder, magic, suffering, laughter, mystery, love, oppression, and joy even if its significance often slips right on by our awareness, our perceptual world, until it is unearthed by such genres as the novel (and I would add film). You really can’t get more mundane than these micro-statements, though albeit they can be fantastically funny, frustratingly opaque, devilishly satiric, and in rare occasions, poetic; and it is for all these reasons that I find them personally enjoyable and analytically valuable. So much of our life is seeped and steeped in the mundane and yet it is whizzes by us without much reflection. We certainly don’t have much of a window into the mundane lives of others, especially in any real time sense. These updates are short pauses, like a temporal parenthesis (which any reader of this blog can I tell I am fond of) or a pleasant hiccup. While many say that they are egotistical blasts, I experience them otherwise, especially when I find myself smiling, laughing, wondering not at what I say but what others throw out there. For with the short update, I am transported, however ephemerally and momentarily, to your mundane world and share in the pleasures of life as is. What to make of the other half? Many people ask me why there are such few female hackers. 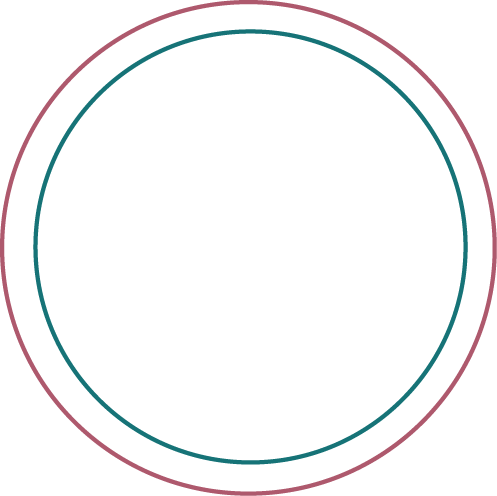 While I think this is an important/interesting question (that is also extraordinarily hard to answer), there is another one which has captivated me for much longer, which is the followingL why are there such few females represented in the academic/activist world of free software/free culture, etc.? It seems like every turn I take, there are books galore, talks galore, essays galore being written by men with females sprinkled on top, like some confectionery after thought. Take for example Joi Ito’s recent photograph collection, Free Souls (women are represented in the beautiful array of photographs) but in the essays which reflect on freedom/free culture/the souls of freedom, there is (I think, correct me if I am wrong), not a single female voice, despite the fact that there were clearly females authors/activists that could have potentially contributed. Now, am I overreacting here; or is this reason for worry? I consider myself a fairly creative thinker but not even close to outrageously creative. I do have a few friends that fit that later category and one of them is my ex-roommate, Zack Brown (of kernel traffic fame. After many, really too many months of not seeing him, I met him for dinner last night under very snowy NYC conditions and as is always the case, he opened our evening meeting with an unusual and compelling story (and I usually am skeptical of his claims but my skepticism is most often totally unwarranted). Last night, his declaration was the following. He let me know that he has been working on a game, since before we met in 2001, which I was never knew about, and just recently all the pieces–and this is metaphorical and literal for there are many pieces in the game–have come together and has filed a patent for the game (news to me that you could patent a game). After thinking about it for 7 years(!!! ), he has invented a game that I have to say looks stunningly interesting Crumble. It is simple in its rules and format but the strategy is quite demanding and complex. It is requires deep thought but also, it seems, a very visual mind. If you are interested in following its development and marketing (he is looking for manufacturers), you can keep track of developments on his blog. If you are a daring and patient soul (who can refrain from sneezing and laughing) you can make your own pieces and play sooner. And if you work at Google (NYC office) apparently, people are already playing, so you can join and Crumble Away! Since they beat me to it and I am swamped with stuff/errands/cleaning/grading/everything else, here is the audio from Anon’s great visit to my class on Dec 8th. I will throw up a copy on my server tonight as well. Warning: Not lots but in fact tons of expletives. 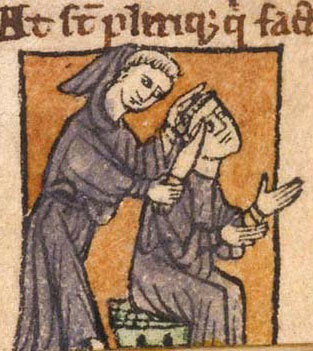 Not Ballistic, Monastic, originally uploaded by the biella. Have you ever gone monastic, taken a step away from the rough tumble of life to throw yourself totally and completely in one or just a few things? I have been in this state a few times before, sometimes by my own volition, other times I was forced into such state, as when I spent nearly a year homebound, sick. The last time I went monastic, I did so to finish my dissertation in 2005 and it worked rather well. In fact, I recall those few months where I barely left home (and as result my PJs) with deep fondness. I just loved the intensity and simplicity of it all, which is why I loved my other periods of self-enforced solitude/simplicity and often yearn for those moments again. If Programming Languages Were Religions and What is Up with Ruby on Rails? Speaking of computer languages and projects and religious holy wars, in the last few weeks I have been totally intrigued by the culture being built by the Ruby on Rails “guys.” As a researcher of Free and Open Source Software, I, like others, actually tend to see the similarities more than the difference between these two poles (in part because I focus on practice, not on the purist ideologies or two ideologues, you know who I am taking about) but it seems to me—-and I could be wrong here but I suspect I am not—-that Ruby on Rails is producing a unique Open Source culture, one that really diverges from some of the core principles of Free Software, much more so than other Open Source projects like Apache. The rail guys as I have heard, are Open Source evangelists of a certain stripe, who are quite “cultish” (you know, it is “weird if you don’t use github, a Mac, TextMate). What do you think of Ruby on Rails? Are the attacks fair? Are they a bunch of douchebags, as this (very incisive) post argues? Is it where Open Source meets and marries, for better or for worse, the Web 2.0 craze? If I could clone me, this is definitely one line of research, I would love to dive into right now but since I can’t, your opinions would be greatly appreciated. 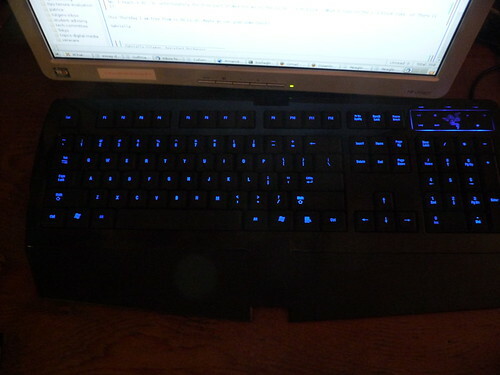 razer–my new keyboard, which i LOVE, originally uploaded by the biella. With an awesome host of features, the Razer Lycosa� is on an unstoppable mission to destroy and dominate. Execute complex combat maneuvers with swift dexterity. Launch your assaults timed to perfection. Annihilate your enemies and reign supreme on the battlefield. You now have the tactical advantage on every terrain, and your enemies� fates are in your hands. do-not-eat, originally uploaded by the biella. America is a land brimming with paradoxes, one of them being our simultaneous obsession with freedom and rules. We purport to be the land of the free (and while this is and may not be true, we do hold steadfast to this idea). But we also love rules rules and rules, and wait there are more and more and more rules, too many rules, which often come in the form of the form of a sign, this one being one of my favorites. (shall not produce grease laden fumes?! yes, I think it was written by an academic). 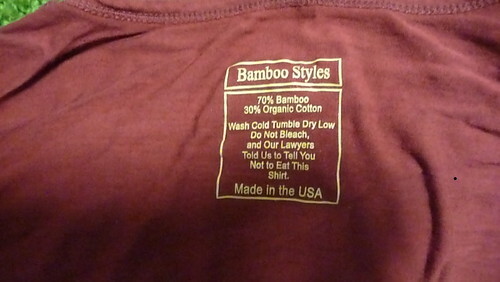 So I appreciate small reminders that poke fun of and holes in our love of rules and warnings, such as the one I found on my new bamboo-based shirt, pictured above. I have taken a huge liking for bamboo shirts as of late (I am obsessed with the tactile and can only stand soft cloth, which is why I love bamboo-based cloth) and I ordered a few shirts of the Internet. I only noticed the “warning” when I pulled the shirt out of the dryer late the other night and it was by far one of the only times I smiled from left to right at 1 am when doing laundry. More people should take the time to plant these easter-egg type jokes as they are, I am sure, much appreciated. Next semester I am teaching a new undergraduate course tentatively titled “Technology, Society, and Media: The Body under Transition, in Movement, and under (Massive) Transformation(s).” As designed, the course should address technology and media in fairly broad stokes (which I do) but I narrow and control what is a truly unwieldy subject by framing the issues/readings in relation to the human body. Generally speaking, we will interrogate the ways in which technology engenders or erases bodily/human possibilities/capacities and especially the ethical and political ramifications that precipitate from the use/abuse of technology. We traverse a wide range of topics from the telegraph (and how it was used to speak with the dead) to the role of human enhancement technologies of today, to questions of surveillance and privacy, among many other topics. I am pretty far along with the syllabus and pretty happy with it. So far I think I have struck a nice balance between fun/light/accessible readings and some which are bit more theoretically dense. I am still looking for one or two pieces, perhaps one on tattoos and body modification and another about karaoke. If anyone knows any great articles on these topics, do pass along the information. I am probably most excited about the cluster of issues that address eugenics (and most students know next to nothing about America’s central role in unleashing the Eugenics’ movement), disability rights activism, human enhancement technologies, and transhumanism. Considering human enhancement in light of previous efforts to enhance our population brings into relief the similar and distinct ethical issues that haunt this field. One of the most hot button issues of today concern the use of human enhancing drugs. The prestigious journal Nature has just published an editorial on the topic of cognitive enhancement drugs,Towards responsible use of cognitive-enhancing drugs by the healthy, which is a fairly interesting read and covers some of the main controversies. For me, however, the interesting issue is not only whether human enhancement is right or wrong–though this is certainly important–but what our embrace of these drugs tell us about the conditions under which our bodies live and labor. That is, I think we are actually missing out on posing some other important questions simply by framing this int terms of human enhancement. I suspect, and this is where ethnography would really help out, that many people turning to enhancement drugs may not be medically sick, in the technical sense but I don’t think they are healthy either. Many who turn to these drugs feel pretty worn, pretty exhausted, pretty frazzled (the perfect word, I think, is agotado, Spanish for exhausted) and use these drugs as crutches, as band-aids, as an elixir to help out one preserver in tough work circumstances. I am sure there are folks who take these drugs feel fine and are just trying to push their limits and capacities but I troll many many many patient support sites and it also seems to me that many people live under a state of low-grade chronic state of unwellness. Given the pace of society, given what and how we eat, given the extraordinary rates of depression in our society ,given the fact that babies are born with 200 + chemicals in their bodies (what a way to start out life) I am skeptical that enhancement really captures what is going on with these drugs. I have not yet come up with the right term, but I am trying to come up with a phrase that would reflect the ways in which these drugs are not used as therapies for a discrete condition (Type 1 diabetes) but how they are a collective response to a state of low grade chronic unwellness that seems to mark the lives of a whole lot of people. This, I think, would be one responsible approach to human “enhancement” technologies that would contextualize their use within a much broader frame, one that is attuned to how bodies have been made, remade, and limited under actual material conditions of labor and life in the 21st century.